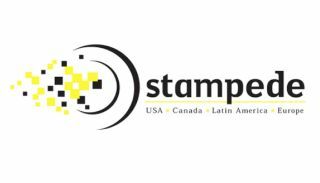 With a nod to its past and a vision for the future, Stampede kicked off its 20th anniversary year at ISE 2018 with the launch of new sales initiatives designed to separate it from commodity-driven distributors. The company is hosting an array of solutions from its vendor partners, along with its Drone Pavilion, at ISE 2018 at stand 14-A100 in the RAI Exhibition Center. The company will further celebrate its anniversary with a beer/wine/champagne reception in the ISE stand at 1600 hours (4:00 p.m.) on Wednesday, February 7. All are invited to attend and celebrate with the Stampede team. “Since 1998, Stampede has invested tens of millions of dollars to build the AV industry’s best, most robust and diverse customer base,” said Stampede president and COO Kevin Kelly. “More importantly, we have invested countless hours in learning about our customers, their business strategies, core competencies and their staff, resulting in the strongest working partnerships in the industry today. All of this has been done to provide our vendor partners with real growth opportunities that combine the best traditional and new products into the next generation system solutions our resellers need to meet their customer needs. Looking to the future, Stampede unveiled six new initiatives that are being rolled out this year: Business Intelligence Teams, Reseller Zone, Direct View LED Technology Solutions Centers, Mobile Technology Showrooms, 1:1 Power Networking Events, and a special 20th Anniversary Gold Rush Promotion. These initiatives are in addition to the company’s current mix of sales and marketing programs that include the global Stampede Big Book of AV Tour & Conference Series, participation in industry trade shows in the United States, Europe, and Asia, and strategic partnerships with Unmanned Vehicle University and Unmanned Vehicle Insurance to provide the necessary training and insurance required of today’s growing base of drone and drone video system operators.